Every year, in India, Teachers' Day is celebrated on September 5 in honour of Dr Sarvepallai Radhakrishnan and before becoming the first vice-president and the second president of India, he was, more importantly, a respected scholar and teacher of philosophy. 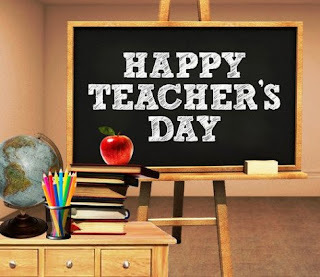 Teachers' Days are special days intended to recognize and appreciate teachers. While World Teachers' Day is on the fifth day of October, each country celebrates Teachers' Day on a day significant to their journey of education, or to celebrate the memory of a local educationist. In every region, this appreciation is shown in different ways, drawing from the specific cultures and traditions. I have special regards for teachers as this is the only class which produces every class right from the politicians to the downwards depending upon the capability and ability of the student. Holding good the words of Brad Henry – a good teacher can inspire hope, ignite the imagination, and still a love of learning – today I remember my school time social studies teacher – Ram Lal Ji - who was so caring and has a different art of monitoring and maintaining the discipline in the class. He was of the view that only discipline that lasts is self-discipline. Really, the importance of discipline in our society and in our life has a special meaning and need as well. I am 66 plus but when I go back to my memories, every time something new comes to my mind is memorable as well as unforgettable to pen down and share with the readers. This time, which came to my brain power, was the novel way of monitoring of discipline when I was in 9th class. But at that time, I being a student had no caliber, no intentions to write down for newspapers or even keeping notes in my diary. New incidents just came to my mind spontaneously related to happening around you of older days. 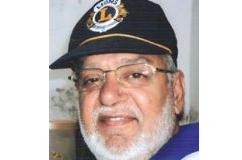 I recollect one of my Social Studies (SS) teachers, Ram Lal Ji – who has produced number of classes. His students got placements at different places – army, banks, and senior executives in private companies and no doubt some of them to very ordinary businessmen - when once we all classmates had gathered at one marriage party of grandson of one of them. Now he is no more and his soul must be resting in peace and I believe that remembering such persons is keeping them alive. The entire class could not detect his – teacher Ram Lal Ji’s – styling of monitoring the class when the students in those days too were very naughty, mischievous, wicked and I don’t hesitate to use the word – impish. The moment after entering into the class, the teacher used to give some assignments to the students to learn by heart after the routine syllabus work and kept him busy in reading the Urdu language newspaper covering his entire face by opening the full two-folds of the paper. The students by virtue of its nature, used to start throwing pencils, copies and even paper-balls on each other. Frankly speaking, none of us could guess as to how our teacher came to know our movements and put down the newspaper and ask the particular student to stand-up for whole of the period as a punishment. One day, few students decided to keep a constant watch on the teacher to know about his technique to point out the particular student from behind the newspaper when nothing is visible when your full face is covered. Even we tried to practice it while sitting on teacher’s chair by covering the face with a copy. However, one day we detected the original technique when the teacher after reading the lesson of the day, gave assignment to do at our own, asked for a pencil from one of the student and secretly put a hole in the newspaper to peep through to know the activities of the students. The moment we came to know the modus-operandi, we stopped doing any wrongs in the class and started maintaining discipline at our own when the teacher was reading the newspaper. Anyhow, this helped us to concentrate on our schooling and pass-out with good numbers. But the incident and unique, distinctive but only one of its kind to monitor the class to maintain discipline is still afresh in my mind and I salute the teacher, who nurtured me/us to write this. Really, the only discipline that lasts is self-discipline.